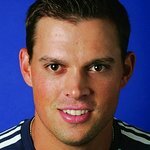 Esurance, the official car insurance sponsor of the US Open, is teaming up with the 2012 Olympic Gold Medal-winning Bryan Brothers – Bob and Mike Bryan – and USTA Serves to support two tennis programs benefiting at-risk youth. Facebook users can go to Esurance’s Facebook page at www.esurance.com/facebook to vote for one of the two “game-changing” programs. Esurance will donate $50,000 to USTA Serves and request that it be distributed to each of the programs based on the percentage of votes received. Voters can also enter a sweepstakes to win a trip for two to the men’s singles final of the 2013 US Open. Additionally, visitors to the Facebook page will have access to an exclusive video of the Bryans, as well as more information about USTA Serves and the two participating tennis programs— East Palo Alto Tennis and Tutoring and the Kids and Police Tennis Association. “USTA Serves is excited to partner with Esurance to support East Palo Alto Tennis and Tutoring and Kids and Police Tennis Association. Both programs are game changers for the hundreds of kids benefitting from the powerful combination of tennis and education. Now they’ll get the extra attention, tutoring, and computer support they need to succeed in school and throughout their lives,” said Deborah Larkin, Executive Director USTA Serves. USTA Serves is a not-for-profit entity dedicated to enhancing the lives of at-risk children and individuals with disabilities through the integration of tennis and education. People from all cultural and ethnic backgrounds are beneficiaries of USTA Serves, which supports organizations that use tennis as a vehicle to help at-risk children finish high school and qualify for college scholarships.